Interested in joining the Embody team? 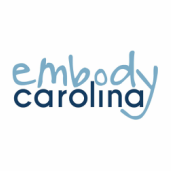 Download and complete the application below, and submit it to embodycarolina@gmail.com. Note: All applicants MUST have completed the Embody training session before submitting an application. Embody meets on Tuesday nights at 7 PM, and applicants must be able to attend these meetings.